Definition at line 2275 of file lscript_tree.h. Definition at line 2278 of file lscript_tree.h. Definition at line 2279 of file lscript_tree.h. References LLLinkedList< DATA_TYPE >::deleteAllData(), and mAllocationList. Definition at line 2284 of file lscript_tree.h. References LLLinkedList< DATA_TYPE >::addData(), and mAllocationList. Definition at line 2289 of file lscript_tree.h. Definition at line 2294 of file lscript_tree.h. 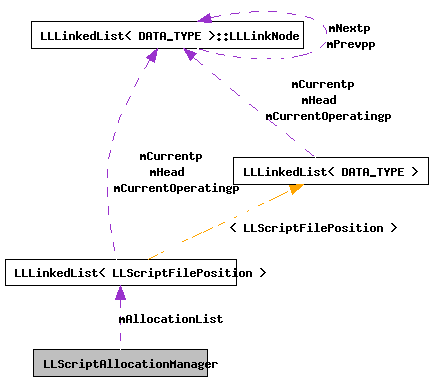 Referenced by addAllocation(), deleteAllocations(), and ~LLScriptAllocationManager().